WE MAY HAVE A COUPLE OF CAKES IN STOCK AT OUR CAFE. PHONE 07 5599 2920 TO CHECK AVAILABLITY. IF YOU HAVE PREORDERED A CAKE THEY ARE AVAILABLE FOR PICKUP NOW FROM CAFE RAWTHENTIC. LAST DAY FOR PICK UP IS SATURDAY 22 DEC 3PM. 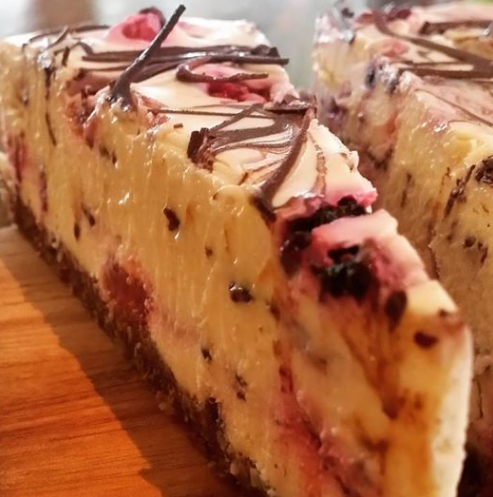 We have been creating our 100% plant based cakes and desserts since 2008 and have always believed that a little raw treat now and again is good for us. That is why we now make then available for pick up so you can treat yourself, or a friend, anywhere anytime. All of our cakes are made to order. 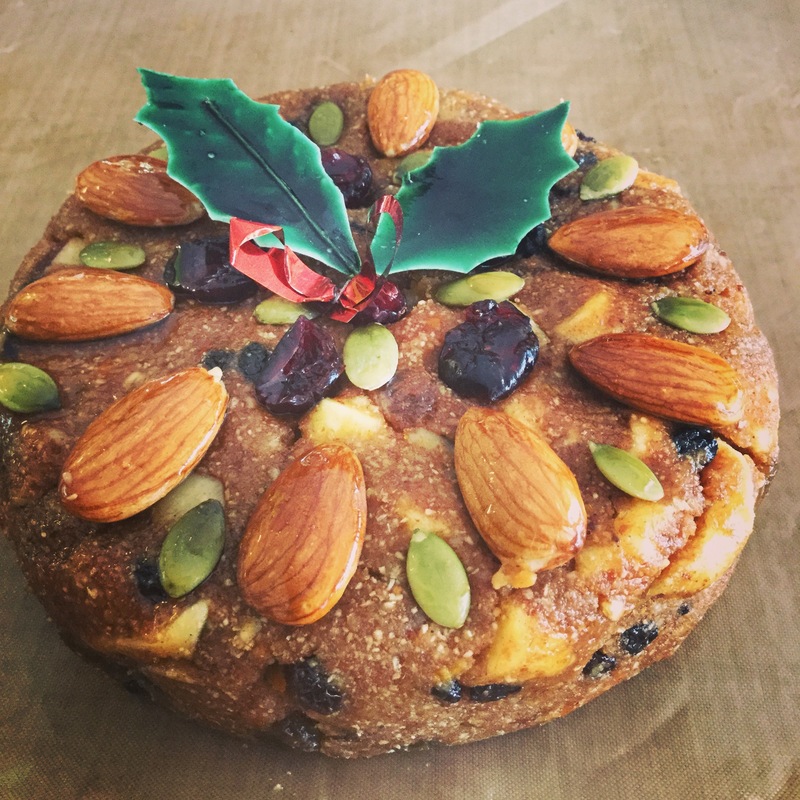 Our Christmas Cakes will be available for pickup from our cafe in Coolangatta Tweed Heads in the week prior Christmas …. from Tuesday 18 December. Last day for pick up will be Saturday 22 December. 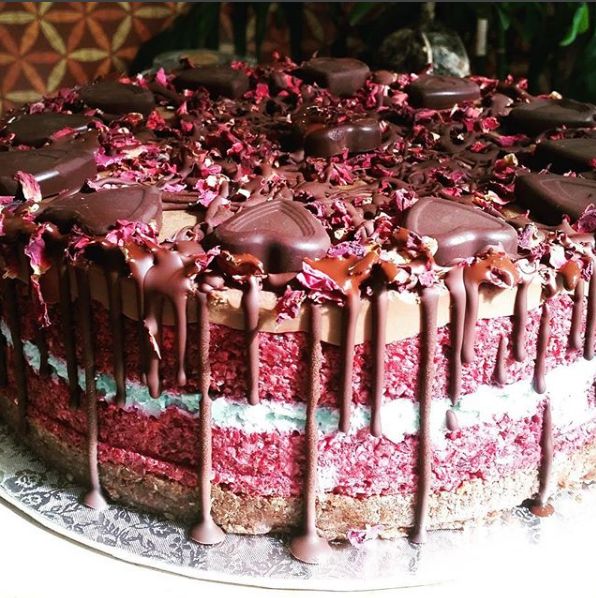 At this stage we are not able to deliver cakes … PICK UP only from our cafe in Tweed Heads. 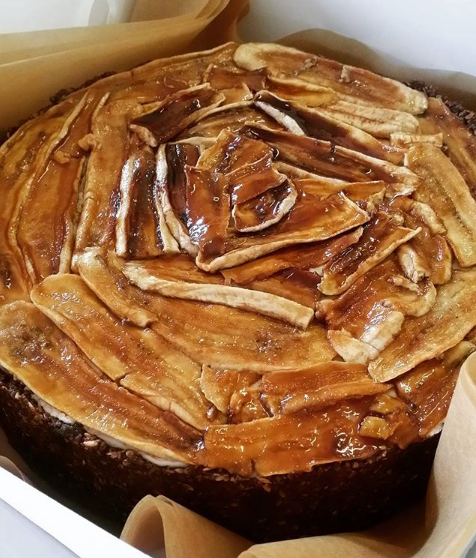 If you need a cake urgently, please phone our kitchen directly on 07 5599.2920 to discuss possible availability. This cake is available in one size – small – 400 grams 8 slices. You can order and pay for your cake online or alternatively you can telephone us on 07 55992920 to order and pay over the phone. For phone orders ee require a 50% deposit at the time of ordering. Balance to be paid on pickup. Be the first to review “Raw Vegan Christmas Cake (small)” Click here to cancel reply.